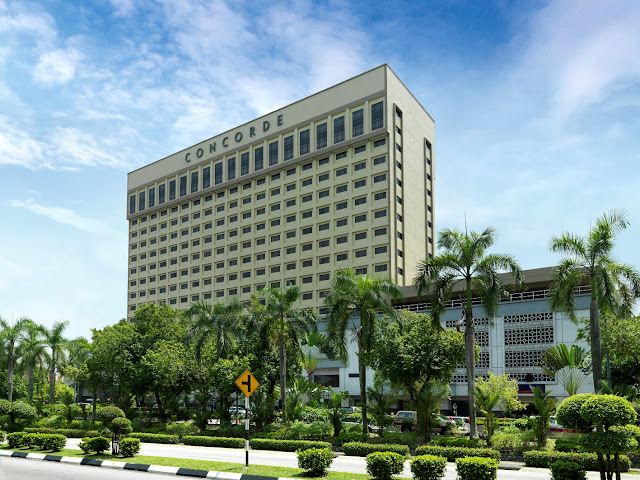 Concorde Hotel Shah Alam is an award-winning hotel nestled in the hub of Shah Alam’s business and tourist attractions areas. Only thirty minutes drive from the bustling Kuala Lumpur and approximately 45 minutes drive from Kuala Lumpur International Airport (KLIA). This opulent international business hotel is strategically located in the heart of Shah Alam, across from the renowned Blue Mosque. Hotspots located nearby such as Shah Alam Sports Complex, Extreme Park, Asia’s Best Attraction - Sunway Lagoon Theme Park, i-City Water World & Recreational Attractions, the world's first agro-forestry park - Bukit Cahaya Sri Alam Agricultural Park and 4 world-class golf courses are ideal for recreation. Offers picturesque views of the stunning Blue Mosque, Concorde Hotel Shah Alam features 381 rooms and suites, all are elegantly furnished with an array of modern amenities to ensure you an utmost ease and luxury accommodation in Shah Alam. Ranging from the Superior, Deluxe, the renovated Deluxe Executive, a collection of Premier Rooms, Executive and Suites, Premier Apartment to Shah Alam Suite, all rooms and suites are equipped with air-conditioning, mini bar, TV with satellite channels, coffee & tea making facilities, Internet access and more. The hotel is committed to meet and exceed their guests’ expectations, unlimited Internet access for 2 devices for each room booked through the hotel website published room rates* at http://shahalam.concordehotelsresorts.com are on complimentary basis. Guests may opt for wired or wireless connection (WiFi). 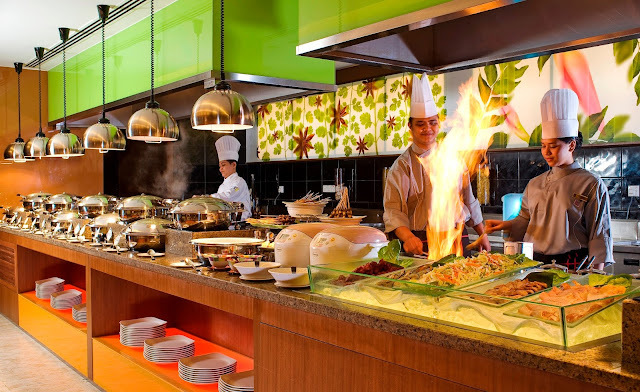 For guests’ dining pleasure, Concorde Hotel Shah Alam boasts four food and beverage outlets, namely Melting Pot Café, the all-day dining; Xin Cuisine Chinese Restaurant which serves an authentic Cantonese fare; Raku Japanese Restaurant that serves a wide range of cuisine from the Land of the Rising Sun and the chic Crossroads Lounge. Concorde Hotel Shah Alam offers a wide range of facilities and guest services to complement their guests’ stay. Be it secretarial services at the Business Centre, complimentary scheduled shuttle services or leisure activities at the fully-equipped fitness centre, swimming pools or spa, guests will find it at their convenience at this hotel in Shah Alam. The Gymnasium Room for Ladies only is most suitable for female guests who need privacy. Houses a great range of comprehensive Meeting and Event facilities, Concorde Hotel Shah Alam boasts a Grand Ballroom and seventeen multipurpose function rooms including the recently renovated Patio Meeting Rooms. Can accommodate up to 700 guests for a corporate cocktail or 600 for a wedding banquet, the Grand Ballroom is the favourite amongst wedding couples. Adjacent to the ballroom are two other function rooms with a VIP waiting room. In addition, eight ‘Gallery’ rooms are available to accommodate 30 to 100 persons in variety of settings. Attendees of meetings or events at Gallery rooms can recharge themselves with quality coffee break at the newly renovated Poolside Corner while overlooking the serene swimming pool. A basement and multi-storey car park block provides ample parking space for guests. It is adjacent to the main hotel building, making it easy accessible from the function rooms. The hotel had upgraded its Superior and Deluxe Executive Rooms to provide a better staying experience to their guests. Renovation works in the pipeline are the ‘face lift’ of the hotel lobby and all Deluxe rooms. The hotel lobby will be upgraded to a classier and more welcoming appeal and the Deluxe room will be made more cosy and refreshed. Headquartered in Singapore, HPL Hotels & Resorts is a hospitality management company, operated and wholly-owned by a Singapore main-board listed, Hotel Properties Limited (HPL). HPL Hotels & Resorts currently manages the activities of 12 hotels and resorts in Asia Pacific and the Indian Ocean. These include Concorde Hotel Singapore, Concorde Hotel Kuala Lumpur, Concorde Hotel Shah Alam, Concorde Inn Kuala Lumpur International Airport, Hard Rock Hotel Bali, Hard Rock Hotel Pattaya, Hard Rock Hotel Penang, Casa del Mar – Langkawi, The Lakehouse – Cameron Highlands, Casa del Rio – Melaka, Rihiveli Beach Resort Maldives and Gili Lanakfushi, Maldives. For more information, please visit www.hplhotels.com. Lovely post! I've just written a hotel review too. Looking fwd to sharing & have a good week ahead! Memang ohsem...pemandangan masjid tu yang paling awesome sebenarnya..